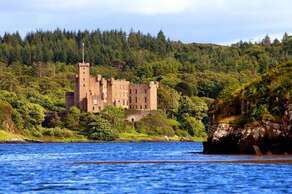 Dunvegan Castle is the oldest continuously inhabited castle in Scotland and has been the ancestral home of the Chiefs of clan MacLeod for 800 years. Originally designed as a fortress to keep people out, today you can tour an extraordinary castle and highland estate steeped in history and clan legend. 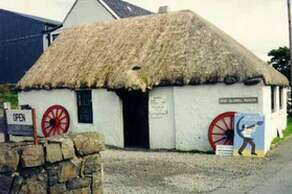 The Colbost Croft Museum was established by Peter MacAskill in 1969. 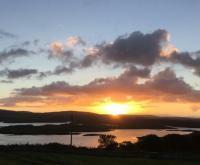 Peter has lived most of his life on Skye, and spent his childhood in a croft cottage next door to an old black house. 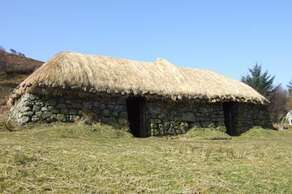 The black house is now the main feature of the museum, and shows how many people in the Highlands and Islands of Scotland lived in the 19th century, with the family living in one room and the livestock under the same roof in a second room. There is a fire in the middle of one room with the smoke going up through the thatched roof, which coverered the roof in soot, hence the term “black house“. The replica illicit still up to the left behind the museum has been badly storm-damaged but we hope this will be repaired in the near future. The MacAskills settled on Skye in the 12th century and went from there to many parts of the world, with Giant Angus’s forebears moving to the island of Berneray in the Outer Hebrides where Angus was born in 1825. They then moved to Harris before moving to Englishtown, Cape Breton, Nova Scotia, Canada. Here, Angus died in 1863 aged 38. The Giant MacAskill Museum opened in Dunvegan in 1989, and features a model of Angus, sculpted by Joe McTaggart. Giant Angus is considered to be the world’s tallest ever ‘true’giant - he was 7ft 9in in height. Panels on the walls of the museum detail some of his feats of strength, with translations available in Dutch, French, Gaelic, German, Italian and Spanish. There are also replicas of his bed, table and a chair. The originals of these are on display in a museum run by the Giant MacAskill Heirs Association in Englishtown, Nova Scotia. 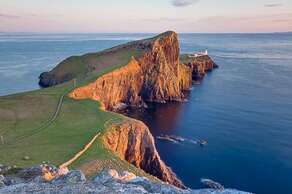 The most Westerly point on the Isle of Skye, giving excellent views over Moonen Bay to Waterstein Head and out over the Minch to the Western Isles. 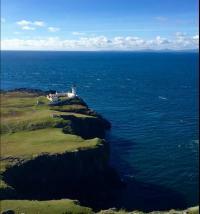 The point is regarded as the best place on Skye to see whales, dolphins, porpoises and basking shark. The sea around the point is teeming withsea-birds including gannets, black guillemots, razorbills and shags. The Isle of Skye is renowned for its rich, varied landscape –from its soft, serene shores to the dark, jagged peaks of the Cuillin mountains. Talisker Skye is the distillery’s ode to these appealing contrasts, with a smoky sweetness, maritime notes and a spicy edge. A great family walk down to the Coral Beach in Claigan, just north of Dunvegan. The beach is made from crushed white coral like seaweed that makes the water look tropical blue when the sun comes out. A truly magical place, perfect for a family picnic and maybe a swim. 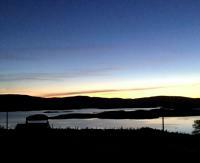 Claigan is a 10 minute drive from Dunvegan Castle, combining the walk to Coral Beach and a visit to the castle could make a great day out. The walk down to the beach is easy going along a farm track and takes about 25 mins to get to the beach. The return is that same route back to the carpark giving a walk total of 3.6km and 45 minutes (with no stops). We have classed this walk as ‘Short’in length and ‘Easy’for difficulty, check the rating guide for details. Welcome to The Three Chimneys, a World-renowned Scottish restaurant with 5-star accommodation, situated in awe-inspiring surroundings beside the sea in the Isle of Skye. Since opening in 1985, we have embraced our remote island location in north west Scotland, to create an incomparable destination experience for our guests and diners. Our real passion for delivering the very best Scottish food with friendly, professional service has contributed towards building our international reputation and gaining many awards consistently over three decades. Loch Bay Restaurant is a contemporary Scottish restaurant with classic French influences brought to you by Chef Patron Michael Smith, his wife Laurence and front of house team led by Graeme Creamer. 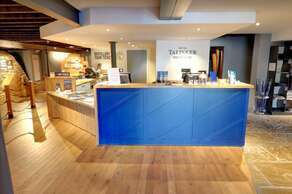 The restaurant is based in Stein, an old fishing village on the scenic north west Waternish peninsula on the Isle of Skye. Built in the 1870s as Duirinish School, and latterly serving Dunvegan as a well stocked near-supermarket, the Old School first opened its doors to diners in in 1985. Maryann and Hugh Mackenzie, Sgitheanachs returning to Skye after a naval career, initially opened the Old School as a tearoom with television repair shop. It quickly evolved into a popular, family restaurant. Now run by their son John and his wife Mali, The Old School continues to serve up Skye and Scotland's best produce with a friendly and relaxed atmosphere, in what is a popular venue for locals and visitors alike. The shores and seas around Skye abound with marine life, whilst the land supports sheep grazed on sweet heather, wild venison and the renowned highland cattle. The finest and freshest produce is readily available and is transformed at the Stein Inn into mouth-watering, home-cooked dishes. Whether choosing a bar snack, light lunch or a full three-course evening meal, the emphasis is on good, wholesome food at affordable prices. Evening diners can take advantage of eating in the bar lounges or reserving a table in the reserved seating area. We do not take reservations for lunch. If weather permits it is also possible to eat alfresco at our picnic tables by the shore.